The physical well-being of our students is our priority. To ensure the same, we conduct a General Health Check-up twice a year. 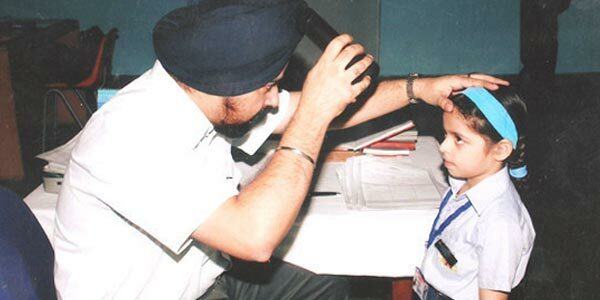 Besides this, Dental and Eye check-up are also conducted in the school. A Health Card with details about the health record is issued to every student at the end of the session. We keep ourselves well-informed about the health of every student through the Medical form which is submitted by the parents in the beginning of the session. If any student suffers from any serious health problem like Asthma, Diabetes etc., the respective class-teachers and subject-teachers are intimated accordingly. The parents are informed regularly to keep a check on the eating habits of their wards. In case of emergency, the school has a tie-up with nearby hospitals, to ensure safety of our children.